EN The phenomena known as ruin pubs have taken over the nightlife of Budapest a few years back, and established a pattern for success. Nonetheless, worn-down pieces of furniture, psychedelic interiors, and a bunch of hipsters are not enough to create a popular spot, a certain kind of charm is also needed. As for the best ruin pubs of Budapest, this essential charm changes from venue to venue, and guarantees an enviable assortment. If you feel baffled by the variety, and can’t make up your mind, take a look at our list below! The trend started about ten years ago, with the opening of the very first ruin pub, the Szimpla in Kazinczy street. Young people were craving spaces where they could avoid consumerism and just be themselves, so Szimpla was a huge success—and many more followed. The whole initiative is supported by local authorities who, recognising the life the pubs breath back into decrepit streets, guarantee cheap rent if the applicant proposes a convincing project and refurnishment plan. DE Die als Ruinenkneipen bekannten Erscheinungen dominieren das Nachtleben in Budapest und verhalfen vielen Kneipenbesitzern seit Jahren zum großen Erfolg. Neben den abgenutzten Möbeln, psychedelischen Innenräumen, und eine Reihe von Hipster sind nicht genug, um einen beliebten Ort zu schaffen, eine gewisse Art von Charme ist ebenfalls erforderlich. Wie für die besten Ruinenkneipen von Budapest, ändert dieser wesentliche Charme von Ort zu Ort, und garantiert eine beneidenswerte Auswahl. Wenn Ihr verwirrt von der Vielfalt seid und Euch nicht entscheiden könnt, dann werft einen Blick auf die Liste unten! Der Trend begann vor etwa zehn Jahren mit der Eröffnung der ersten Ruinenkneipe, der Szimpla in der Kazinczy Straße. Junge Menschen sehnten sich nach Freiraum, in denen sie den Konsum vermeiden konnten, einem Ort wo sie selbst sein konnten. Somit war Szimpla ein großer Erfolg und viele weitere folgten. Die gesamte Initiative wird von lokalen Behörden willkommen geheißen: Sie erwecken Pubs zum leben, wenn eine günstige Miete garantiert wird und wenn der Antragsteller einen überzeugenden Projekt-und Sanierungsplan vorschlagen. 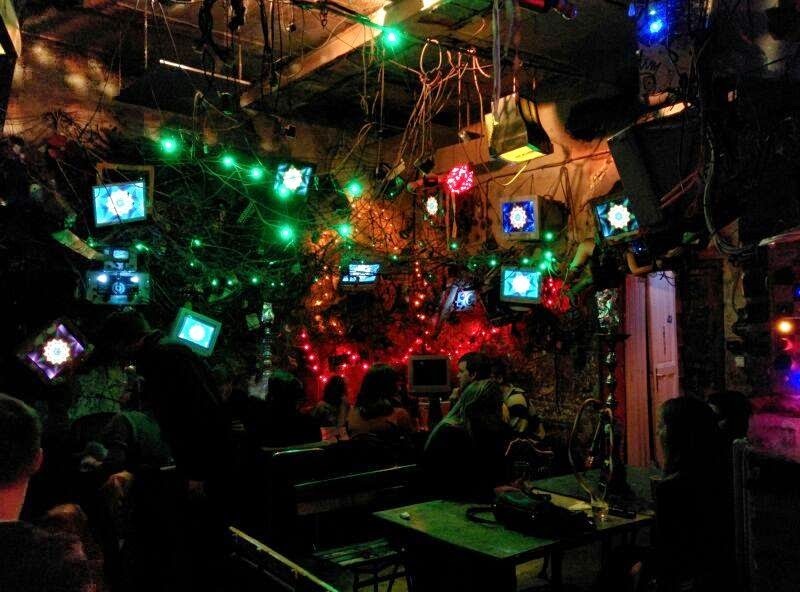 Szimpla (Szimpla Kert VII. ker. Kazinczy u. 14): It is the mother of all ruinbars and offers the cultural programm from open-air film screenings and art exhibitions to fairs for old bicycles and house plants. Fogasház (Akácfa Utca 51): It functions as a contemporary art gallery and hosts plays, concerts, parties and film screenings. Grandió (Nagy Diofa Utca 8): The inner courtyard of this pub, which is also a hostel, is fully covered with plants and it is popular for intimate drinking at night. 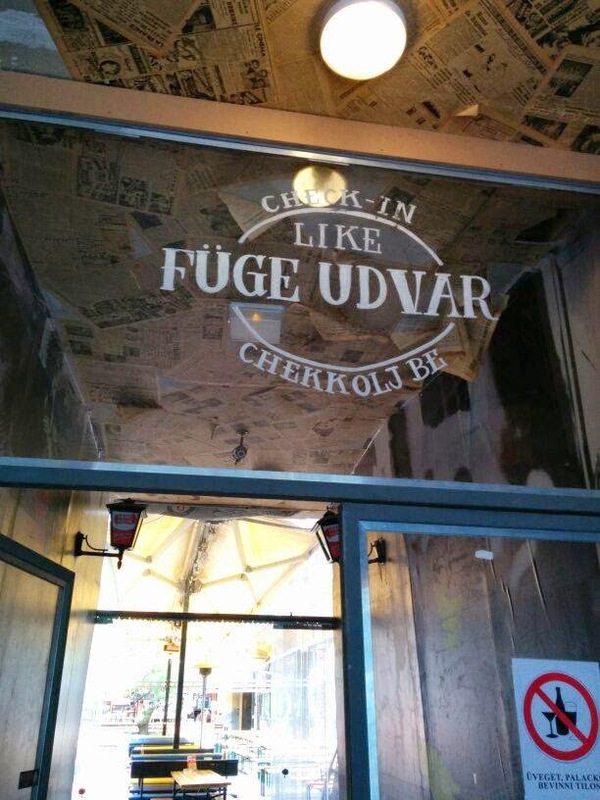 Füge Udvar (Klauzál utca 19): Here you will find an internal garden with colorful furniture. What`s better than having an ice cold beverage under the leaves of a tree in the middle of Budapest’s intense summer heat? You will also find opportunity to play table tennis, billiards and table football. If you get hungry, you can order a pizza in the corner of the court. In winter the heated, covered courtyard gives shelter to all those thirsty for relaxation and drinks. Instant (Nagymezö Utca 38): This gallery and café is located in two buildings that have been joined together, opening up all the former flats to form a veritable labyrinth. One room is turned upside down, and a school of fish passes above your head. For further informations visit weloveruinbars ! Sehr interessanter Artikel! Ich muss unbedingt mal nach Budapest reisen :)!! Let me know what you think about my latest article! i want to be there right now !!!! p.s. win a 100€ shopping voucher! These places look amazing, I'm saving this for when I finally go to Budapest! Wunderbare Bilder! du hast ein Auge für interessante Dinge!